Bring the family out for fun things to do. 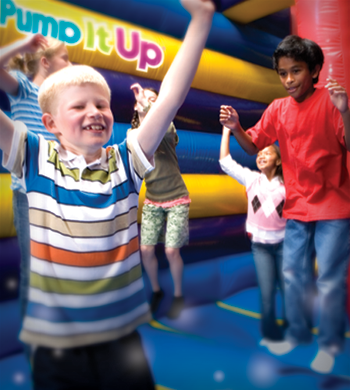 Our Open Jumps are open play time where your child can have the time of their life. Our massive inflatables spark their imaginations to run wild. It’s not only fun for the kids, but provides a healthy workout that burns off excess energy and helps keep them fit. It’s fun for kids of all ages. Spend time with your family, meet other families and make new friends in a safe, clean, climate controlled environment. Please don't forget socks & a signed waiver are always required to play at Pump It Up. See our calendar for our added weekend times. 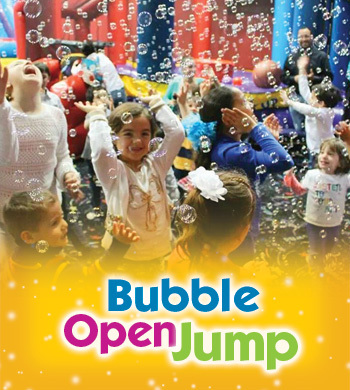 Come get in on all the usual JUMPING and BOUNCING fun...but kids will go crazy when our arenas are filled to the max with BUBBLES!! Come join us for an open jump with a twist! 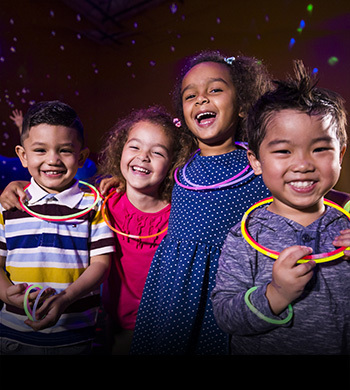 After you get your GLOW necklace & once we start your ultimate jump experience we turn up the FUN, make the arenas GLOW IN THE DARK and display special effects lighting throughout. This is fun for the entire family!! Suggested GLOW party dress attire include white, neon, sport stripes, tie dye or glow in the dark clothing for the best GLOW experience. Be creative. Use your imagination! recommended for our older jumpers! 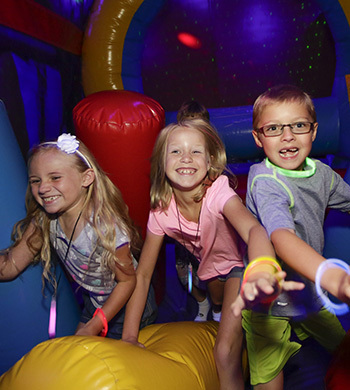 Bring the whole family down for an afternoon of jumping...and let the kiddos regain their energy when they end their action packed afternoon with PIZZA in our fun party rooms!! An absolute SUMMERTIME favorite!! 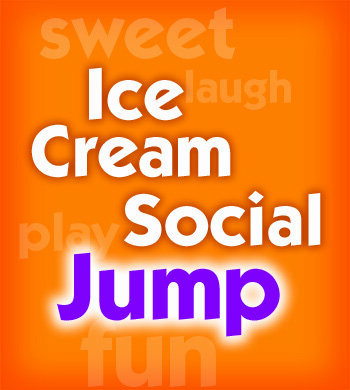 Come jump in each of our awesome fun-filled arenas...then let the kiddos cool down after all that activity with delicious ice cream! Kids can build their very own ice cream sundae...we provide all the ice cream and toppings, kids just bring their appetites!